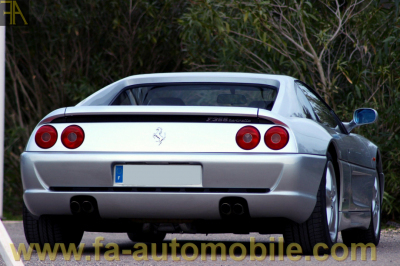 Superb 355 GTB in the purest deliveries, gray silver version cut. It is equipped with its mechanical box, very sought after by amateurs. Delivered new in Italy, this car has always been followed by a great specialist of the brand, the notebook and the tools are still with the car in their original leather pouch. 75,000 km in total, it is impeccable and available immediately. French papers.